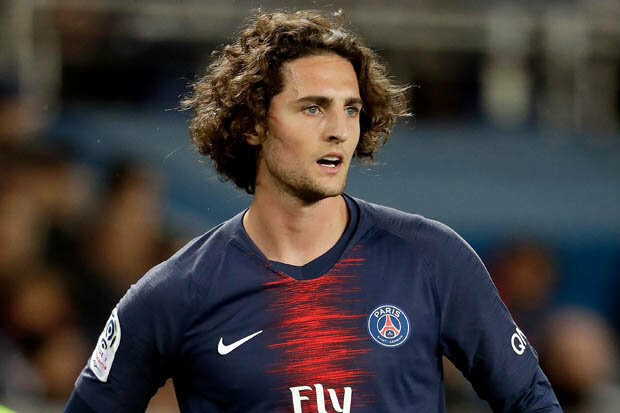 Red Devils in the hunt for PSG midfielder Adrien Rabiot and ready to compete with Liverpool, Chelsea, Tottenham and Arsenal for the footballer. Man United need a creative footballer to improve the squad as Juan Mata linked with several big clubs and his back-up is necessary. France international is the best option in this situation as he also wants to get a regular place in starting line-up and set to listen to offers from the big clubs. Norwegian manager will do everything to add him during the summer transfer window. Reds, Blues, Spurs and Gunners also keen to sign him and there will be a real battle for the player. His price could increase and become much more. Barcelona were also interested to add him but they signed Ajax midfielder Frenkie de Jong instead of Frenchman. Rabiot is a product of the Parisians youth academy and spent his current career with them. He has a huge potential and can achieve big success if he continuous improvement. In this campaign, Adrien played 20 matches, scored 2 goals and made 2 assists in all competition. This is an excellent result and he can improve his consequences if he gets regular game time. The 23-year-old midfielder is contracted with the French club until 2019 and his release clause is around €50m. He has problems with the manager and prefers to change the working place during the summer transfer window. French footballer will become a free agent this July and then will make a decision about his future.